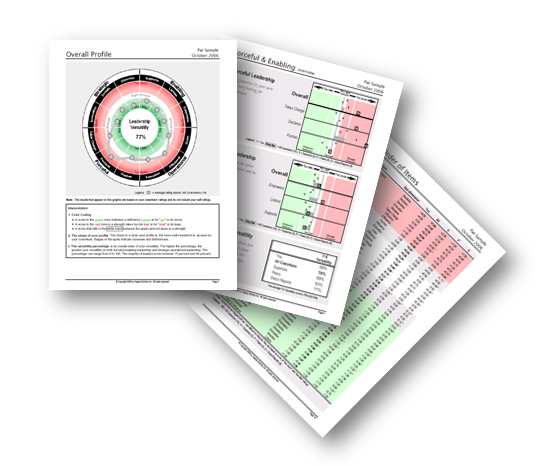 A patented 360-degree feedback survey addressed to TOP managers with a unique leadership model. It raises the awareness of the strengths overused and deficiencies, contributing to the development of leadership competencies. The model that emphasizes on strengths had been widely used in organizations as the main drive for raising individual performance. Unfortunately, only focusing on developing a strength and ignoring the less positive aspects leads to an incomplete picture of the leader. It is about a full range of motion; able to freely use opposing approaches, unlimited by bias in favor of one and prejudice against the other. 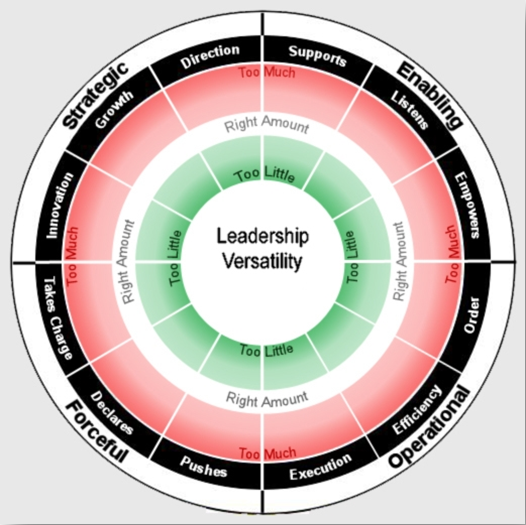 Versatility accounts for half of what separates the most highly regarded leaders from the least well regarded leaders. Understanding and overcoming the shortcomings. What makes the LVI distinct? Scientific studies reveal that extreme strengths are the ones that give headaches to managers in organizations. We can talk about too much authority, too much delegation or too much attention to details – all these strengths are turning into weaknesses above a certain limit. Most 360 instruments using a scale from 1 to 5 fails to capture these excessive behaviors. 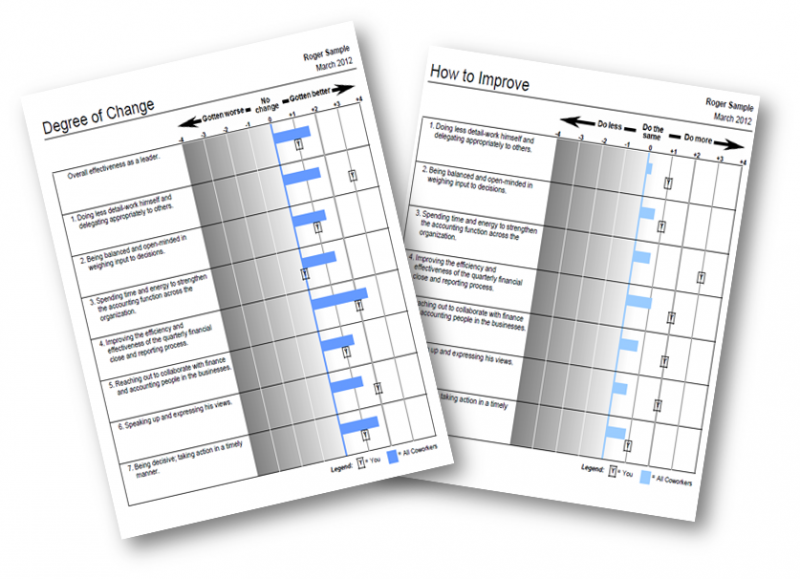 Therefore LVI uses a special behaviors assessment scale in order to capture the strengths overused as well as deficiency leadership behaviors manifested / developed. LVI uses a simple leadership model, empirically developed that has a high level of applicability. It‘s development is based on 2 opposed dimensions (Strategic vs. Operational and Forceful vs. Enabling), each one containing 3 sets of behaviors. For more details about LVI, please contact us.